The City of Meridian, with the help of many partners, hosts an annual community event called Do The Right Day, held every April. The goal of the day is to encourage people of all ages to do something nice for the person to their right; whether it’s helping a neighbor, giving a classmate a nice note, or buying coffee for a coworker. It is one day intended to start a movement of compassion. Please visit meridiancity.org/dotheright to learn more. 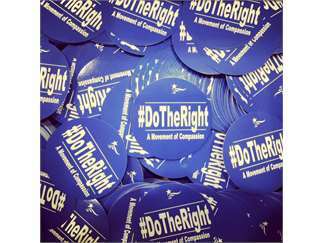 Tag us online @MeridianIdaho and use #DoTheRight - to show us how you spread the love!